Our tailor made tours are just that – tailor made. We design every tour according to each guest’s preferences. If you see any part of any itinerary and want to combine it with another, we will do this with pleasure. You may also just give us a list of what you want to experience in South Africa, and we will put together a tour just for you. 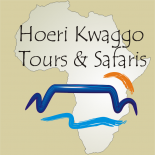 The tours listed here are just a few examples of what we have done before. Contact us with your ideas and we will design your very own private tour!